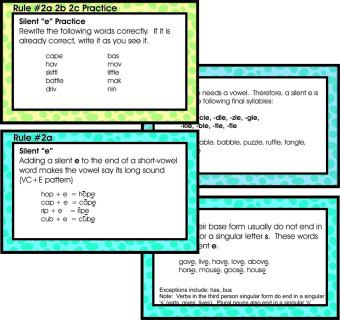 29 pages of spelling rules for lessons with a practice card for each. Includes ed, ng endings, ay or ai, ti-ci-si, y to i, i before e, etc. In simple, easy to understand language with sensible practice for follow up. Use counters available at most learning stores. 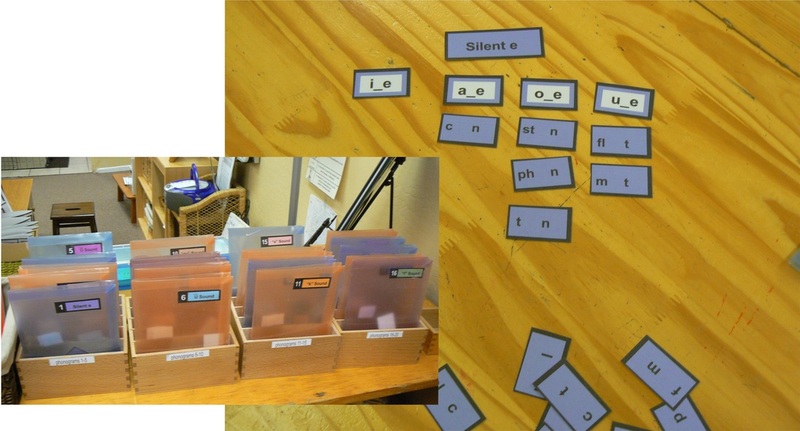 Print on card stock, cut apart words only - the phonogram sheets stay in tact as playing boards (3 for each). These can also be used as labels. There are 36 pages of cards and words that can be cut apart. Categories include phonograms, digraphs, blends, long vowels, and endings. 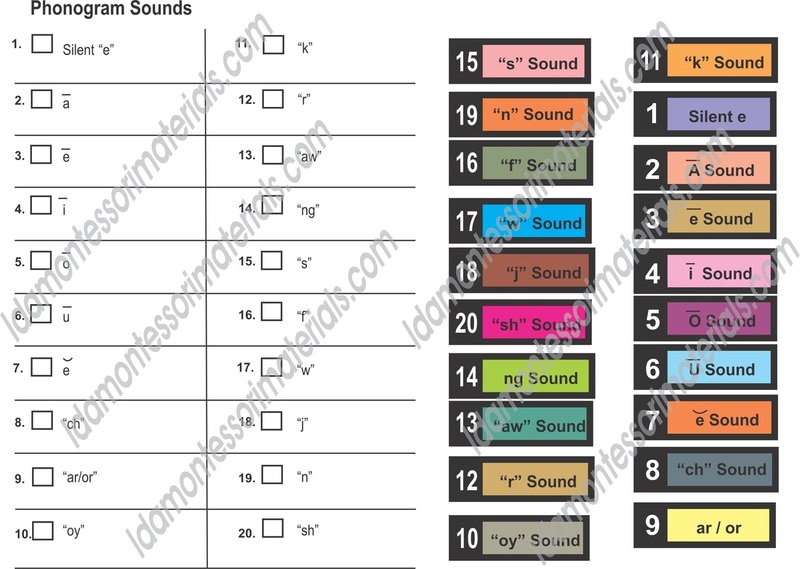 Print colored labels on adhesive paper and children can use the checksheet to keep track of what they have done. These can be stored in envelopes. The label file (included) can be printed on adhesive paper.